“My husband had so many problems to deal with. Dr. Michael’s care helped him and our family cope.” G.S. One in nine Americans has chronic kidney disease. Early diagnosis and treatment of kidney disease can delay its progression and significantly improve patient outcomes and quality of life. Diabetes is the most common cause of chronic kidney disease in the United States, followed by hypertension. Optimal management of both of these diseases can limit kidney damage. 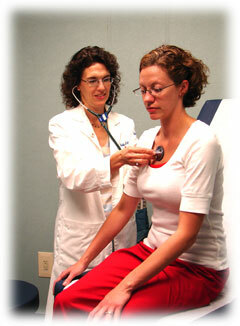 An individual with kidney disease and/or diabetes should have a blood pressure of less than 130/80 mmHg. There are many other causes of kidney disease, including lupus, glomerulonephritis and polycystic kidney disease. A simple blood test and urinalysis is all that is needed to screen for the presence of abnormal kidney function. A formula using the results of the blood test (to calculate estimated GFR) is used to stage the severity of kidney disease and establish a treatment plan. A kidney biopsy may be necessary to determine the exact cause of an individual's kidney disease. There are many treatments available if glomerulonephritis or vasculitis is detected on kidney biopsy. There are five stages of chronic kidney disease, with stage one being the mildest form and stage five being the most severe. As kidney function worsens, complications can develop which include worsening high blood pressure, swelling, low blood count (anemia), electrolyte imbalance, bone disease and acidosis. Diet and medication can treat many of these complications. Patients with stage four kidney disease should become educated about dialysis and kidney transplantation, and be evaluated for placement of an arteriovenous fistula. Patients with stage five kidney disease usually require dialysis or a kidney transplant to survive.